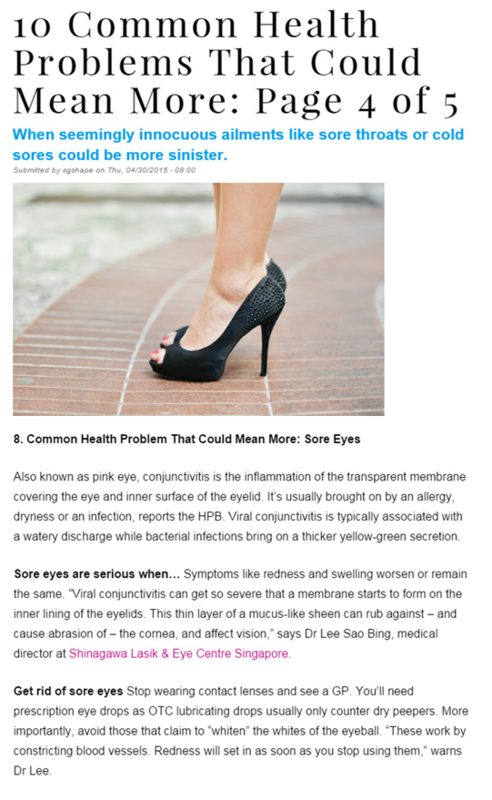 Dr Lee gives his advice for treatment of sore eyes in Shape magazine. Also known as pink eye, conjunctivitis is the inflammation of the transparent membrane covering the eye and inner surface of the eyelid. It’s usually brought on by an allergy, dryness or an infection. Viral conjunctivitis is typically associated with a watery discharge while bacterial infections bring on a thicker yellow-green secretion. 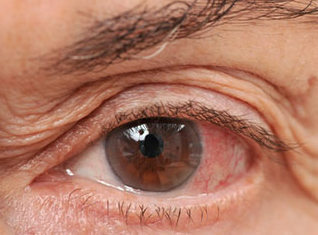 Sore eyes are serious when… Symptoms like redness and swelling worsen or remain the same. “Viral conjunctivitis can get so severe that a membrane starts to form on the inner lining of the eyelids. This thin layer of a mucus-like sheen can rub against – and cause abrasion of – the cornea, and affect vision,” says Dr Lee Sao Bing, medical director at Shinagawa Eye Centre Singapore. Get rid of sore eyes Stop wearing contact lenses and see a GP. You’ll need prescription eye drops as OTC lubricating drops usually only counter dry peepers. More importantly, avoid those that claim to “whiten” the whites of the eyeball. “These work by constricting blood vessels. Redness will set in as soon as you stop using them,” warns Dr Lee.